It was so appropriate to have the reading from Mark Chapter 4 at this time of the year. Jesus calms the storm. Our weather has certainly presented us with some extreme conditions this year and still more are predicted. The storm referred to in the reading is of course weather related but storms and turbulence come into our lives in many ways. Sickness, redundancy, loss of independence and concern for a loved one are but a few of the causes. Fear in the height of a storm is natural for all of us. However, many of our fears are baseless — we are afraid of and worry about things that may never happen. But then there are times when our worst fears are realised. What happens when we are afraid of floods or earthquakes or hurricanes and one actually hits us? What happens when we do fail or are rejected? What happens when ill health does come near? How can we deal with it? Where can we find peace in the midst of the storms of life? And not just the storms we fear might come, but those that actually do come? Think back to the terror experienced by those disciples on the Sea of Galilee that evening. Suppose for a few minutes that you are one of them. There is no indication in scripture that you or any of your compatriots have any idea, as you set out in your boats, that there might be anything amiss. To be sure, since a number of you are fishermen, you are aware that things like this can happen. After all, the Sea of Galilee is set in a deep gorge between two mountain ranges. The winds sometimes force themselves through the passes and virtually explode on the quiet waters so many hundreds of feet below. Jesus is in the boat with you but he’s asleep! How could anybody sleep through this? It is interesting that here you are a fisherman, and in the company of other fishermen, in the place where you are experienced. Why should anyone expect that a carpenter would be of any help at a time like this? Jesus calmly tells us: “Quiet! Be still!” And that is all there is to it. As suddenly as it had come up, the storm is gone. You are left sitting in that boat as it gently rocks to and fro in the midst of the lake. You look at your travelling companions with eyes full of wonder. What kind of man is this Jesus to be able to do such a thing? And you know without saying that this friend of yours is more than a man. Then he speaks again, to each of you in the little boat. “Why are you so afraid? Do you still have no faith?” For whatever consolation it might provide, you are not alone in your thoughts. Your companions there in the boat have also been sitting with eyes cast down. They have the same questions going through their minds and they too are not quite sure how to deal with them. For that matter, down through the centuries, Christians have struggled with precisely the same thing — we say we have faith, but when times of crisis come we have this deep, dark fear that we have been left alone. Remember Jesus said, “Peace, be still,” but he continues to speak if we but hear his word. He affirms to us that even when we think God might be unaware of our trouble, we need not fear. God’s presence is with us even in the midst of our most dire crisis. “Who shall separate us from the love of Christ?” Nothing shall separate us from the love of God, which is in Christ Jesus our Lord. God’s word is still capable of calming storms. The winds and waves shall obey my will; Peace, be still; Peace, be still. One of the opportunities to do this is offered at the Quiet day on 28 July. There are details about this event later in the Messenger. So as we journey through the winter season let us remember God is with us and let us hold each other in prayer, especially those we know who are facing storms in their lives at the moment. The homeless, the cold, those who are unwell or in need of extra reassurance that God is with us. Many thanks to Richard Anderson, Lin Broad, Catherine and Blake as well as all who helped to clean up from the parish breakfast. A great morning. Theme: Who Does God Say We Are? Wednesday July 4, 10am. Meet in the Church. All Welcome. Dear Ladies, you are warmly invited to the Mid-year Meeting and afternoon tea on Monday July 16 at 1.30pm in the Parish Lounge. Please put this date in your diaries. We look forward to seeing you there. Thursday July 19, 10am. Meet at the Church for Communion. All Welcome. THANK YOU to everyone who has so generously donated pyjamas for the drive, working with the Middlemore Foundation and the community, to provide pyjamas for vulnerable children in local schools. All donations towards this collection have been most appreciated. Saturday July 21, 9am to 4pm. Reid Anderson Hall, St Andrews Pukekohe. $50 per person. Free to those involved in work in the Parish. Bring your own lunch. This is a Health and Safety requirement for those working with children or older people. Bookings to Jan Wallace Ph. 0274-521 366 by Friday July 13.  Sunday August 5, 3pm, St Andrew’s Anglican Church, Pukekohe. The music will be mostly a cappella music from the Renaissance period to the modern day. Pieces include: Clap Your Hands by Gibbons, Exsultate Deo by Palestrina, Jubilate Deo by Gabrieli, Hosanna to the Son of David by Weelkes and the spectacular I Was Glad and Blest Pair of Sirens by CHH Parry. Directed by Robert Howell with Michael Bell on the organ. Door sales $35 adults and $30 seniors but you can save $10 off these prices by booking through Eventfinda or through the Parish office. Phone Noeline 09-2387228. As Bob and Jan will be away at this time please can you let Jan know if you would be able to assist with this event. Come and join the celebration to acknowledge the hard work and dedication of the women in the 1890s who fought to get the vote for women with the support of some men. The recognition of women’s franchise will culminate in a parade down King St, Pukekohe, with dancing, bands playing and jubilant singing, ending at the Town Hall, speeches delivered, doves released and a High Tea event. There will be exhibitions in Franklin The Centre, from local organisations celebrating their achievements past & present. Franklin is a diverse community and it is appropriate that this diversity is represented as part of this celebration — we encourage all groups in the community to come forward to celebrate with us. Schools and youth groups come forward — help us to understand how you would like to celebrate — competitions in Art / Photography / Drawing / Short Story Writing / Debating etc. Businesses — please offer prizes for competition winners and plan to take part in the parade. Community Services / Clubs / Sports Clubs / Churches / Service Groups — find out how you can get involved. People of Franklin, how else can we celebrate? At a recent archdeaconry meeting an excerpt from a book by a well-known Christian writer, Henri J M Nouwen, entitled A Spirituality of Fundraising, was shared with us relating fundraising to vision. As a parish we fall well short of having sufficient income from our current level of offerings and fundraising to cover the day-to-day running costs of the parish. This provokes some thought. There are purposes and visions that we all value and would like to see within our parish. How important are these to us? We then need to consider how we can achieve these goals. What resourcing do we need to be able to achieve this goal? We all know that the cost of living, fuel and a wide range of other commodities are increasing and families struggle to make ends meet. In reality it currently costs about $430 a day to meet our present expenses — about $3000 a week. What can we do? This needs to be seriously considered. I think the first thing we need to do is prayerfully consider our financial situation and then share our ideas, establish a fundraising committee to support our finance committee in managing the parish accounts. When it comes to the fundraising we need to consider how we can offer support. If you have any suggestions, or would be willing to join a fundraising committee, please speak to Jan or one of the wardens — Neville Phillips or Pauline Brown. PCA, Selwyn, vicarage the income is not profit as there are refreshment, contribution to cleaning insurance copying stationery included. Giving by automatic payment would help Vestry to budget. Please consider if this is something you would be able to do to help us. I was at the Fieldays last week, as an exhibitor in the Innovation Centre. It was an exciting three days plus one. Here are some things that struck me as I observed the weather, the people, the products and, of course, the innovations. The first was that despite it being Fieldays’ 50th anniversary year, the weather still made its presence felt. ’Twas not the parka-penetrating chill of the souwesterlies. Nor the eeriness of foggy mornings. No, it was the wheel-spinning wetness that led to hour-long waits to get out of the parking lot that I remember most about the weather. Is 50 years not long enough to solve that energy-consuming problem? That so much of the activity was focused on products that we want but do not need was the big disappointment for me. We will never achieve societal and environmental sustainability as long as we try to consume our way to egosatisfaction. Finally, innovation in the agricultural sector is a major aspect of Fieldays and there were some really great ideas on display. However, unlike the judges’ view that the winners of the awards chose their problems to solve with care, it seemed to me that they chose their products not to solve the problems that the world need solving, but instead, chose them to make a profit. Seasons for Growth — An after-school group held on Thursday for children who have experienced a significant loss or grief in their lives. Adult programme began on March 12, 7pm. Space for you and baby — A group for first-time mums and their babies. Oasis — This is the natural progression from Space. As the babies “graduate” at the age of 1 year they transfer through to the playgroups which have music, morning tea, free play and a story with a related craft. There is the time for mums to chat amongst themselves and to build relationships as many are new to Pukekohe. Drop in and see the children having fun. Selwyn Group — For the older members of the community. Join in the exercises, chat over a cup of tea or coffee and then enjoy cards, Skip-bo, Bingo or other activities. It is good to see people getting out, mixing with others and on Tuesdays enjoying lunch together. This group runs every Tuesday and Thursday morning from 9.30am. For further information on any of these groups please speak to Jan.